First, we extend a warm welcome to anyone who is reading this page for the first time. We are thinking, once again, of everyone who is away from home during this time of reflection. We have all been there. This post comes from northern New Hampshire, where Wes Clark recently spent a day trudging through mounds of snow. This morning it is raining-- heavily. It reminds the writer of a holiday season in the tropics as a Peace Corps volunteer, living in a town stretched out thinly between a steep mountain range and an azure shore. It had rained heavily for weeks, everything was muddy and moldy, and a landslide had washed away the only road connecting the town over the mountains to the outside world. The hospital was full; all items that are chronically in short supply in an environment of scarcity had run out and market shelves were almost bare. Then, on Christmas Day, the first planeload of supplies came through—carrying a full load of cigarettes and rum! For many people, this is also a season of creation myths—stories formed over centuries to bring comfort in a harsh world. They are varied and helpful. Myth-making also has an alternate creative function. Anna Quindlen noted in her latest Newsweek column, Shading or trading the true facts of your life in exchange for power and influence is a recurring leitmotif in the relentless self-invention of America. During this season of reflection, people need to take a close look at which candidate can bring us back to who we are as a nation, what is important to us, and how we can help people less fortunate than us. 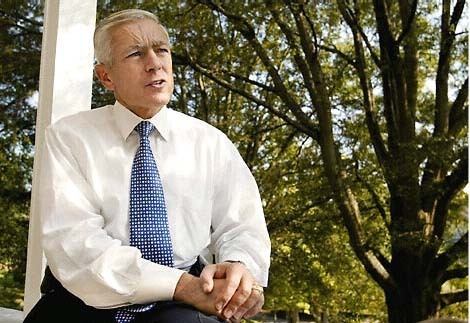 In any contest of ascribed and earned legitimacy, the story of Wesley Clark is no myth; he has earned his place to be seriously considered for the highest office in the land. Any other topic today is preempted by the overwhelmingly obvious fact that, as many people around the world gather for the holidays, insecurity reigns. Wesley Clark called the war in Iraq a “sideshow” from a serious strategy to fight terrorism, unleashing a concerted effort to paint his comments as unpatriotic. The current administration has not led the world on a path toward greater safety, and it is not capable of doing so. The anger and inexperience of a former Vermont governor are not going to help solve these problems either. As Rick Robinson observed on the Wesley Clark Weblog a number of weeks ago: The great Western heroes weren't gunslingers who shot up the whole damn saloon. They were the guys who rarely drew their guns, because everyone knew they could if they had to. We need a steady, knowledgeable, experienced leader as commander-in-chief: Wesley Clark. Early in the campaign, Wes Clark issued a policy statement about the responsibility Americans have to serve their country: The Call to Service. Clark’s program calls for: a new Civilian Reserve, ready to serve the country on short notice and in a variety of capacities; support for the bipartisan McCain, Bayh, Kennedy Call to Service Act that would more than triple the size of Americorps and link some of its programs to homeland security; broaden the Peace Corps, Senior Corps and Citizen Corps; and expand the service components of work-study programs. For those who wonder about details, there are plenty (check the link at the bottom of the page); this is an area about which Clark cares deeply. This thread is dedicated to open discussion—any topic, anyone. As one Former Peace Corps volunteer wrote, We’ve all been there and know the problems facing developing countries. Yes, we do. Wesley Clark has also learned from his extensive travels. Woven throughout his speeches and policy positions is the tensile strength thread that global problems cannot be solved without investment in people. Clark envisions a more collaborative, collegiate U.S. strategy, working in cooperation with international organizations. Clark wants to expand US economic development programs and establish a cabinet level position to oversee the effort. Focusing our humanitarian and developmental efforts through a single, responsible department will help us bring the same kind of sustained attention to alleviating deprivation, misery, ethnic conflict and poverty that we have brought to the problem of warfare. In some personal configuration, two themes course through the minds of all Clark supporters: 1) Wes Clark is by far the best candidate for President of the United States, and 2) Wes Clark is the most electable candidate for president in 2004. Bringing the second theme front and center, Scot Lehigh began his article, Clark finally making headway: DURING A WEEK that was everything a Republican president could hope for, it was the kind of day that, of the Democrats, only Wesley Clark could have. Hold that thought. In other news of interest to RPCVs, the LA Times reports that UN Secretary General Kofi Annan wants to move international dialogue beyond Iraq to issues of global poverty and health. Annan wants focus on other ills. Not long ago, an avid Clark supporter was hard-pressed to find any mention of the as-yet-unannounced candidate; now there is an abundance of riches. The Wesley Clark Weblog has always been, and continues to be, an excellent site for finding the latest information. Wes Clark’s speech and press conference at the Franklin Pierce Law Center in Concord, NH, aired yesterday afternoon (12/17) on C-Span. This is a must-see. Gen. Clark’s Dec. 15th testimony at the International Criminal Tribunal in the Milosevic’s trial. Please use the Comments feature below to regularly add items that you find interesting or think will be of interest to the former Peace Corps community. Dean for America is my choice, but Wesley Clark is making a contribution to the national debate, he has served our country and he is a thoughtful candidate and refreshing. As a former Peace Corps volunteer, I am impressed with his campaigning at the grassroots. His staff people are professional and engaging. We look forward to working with them over the Presidential cycle.